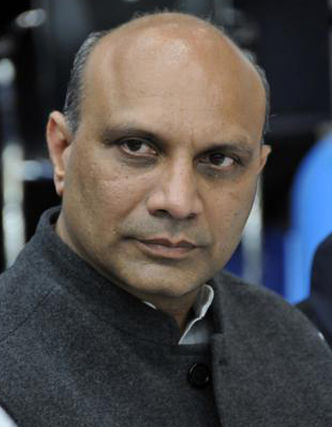 Phanish Puranam, the Roland Berger Chair Professor of Strategy and Organisation Design at INSEAD, interviews M M Pallam Raju, Minister of Human Resource Development, Government of India about the challenges facing doctoral education in management. Phanish Puranam: As management academics, many of us feel that research and doctoral education in management in India is an area in urgent need of fixing. Yet, if I step back and look at the scale of the challenges in education in general in India – whether at the primary, secondary, collegiate or graduate levels – I must ask, with all humility, where do you see research and graduate education in management in the larger scheme of priorities for the Human Resource Development (HRD) ministry? Honourable HRD Minister: Research and graduate education in management in particular and other disciplines in general is a serious concern for the Ministr y of Human Resource Development (MHRD). My ministr y is making all efforts to understand specific problem areas and also provide possible solutions both on a short-term and a long-term basis. Global social responsibility and generating sustainable value for business and society to increase the GDP– these are the major thrust areas for us in MHRD. Infrastructure sustainability is an equally important area for us. Corporate responsibility in finance, marketing or strategy is also being discussed. Our government has also made efforts to promote corporate social responsibilities or ethics. I further believe that focussed research should bridge the gap between academics, research and practice and should also impact management values. The frameworks, curricula and details of business school education impact students. I would stress that a strong social commitment in research is extremely important for improving quality of life. I believe that when research is focussed on the benefit of humanity, it shapes the thinking of academics, supports and enhances current knowledge available in the area and provides solutions for societal problems. Research methodology should become an integral part of the curriculum, both in management and other disciplines. As engineers say, the questions of why, what, how and where need to be answered. Faculty upgradation and value addition through case studies within the curriculum are other avenues to explore. Research administration and infrastructure are key to helping improve the quality of our management institutions and universities. As a policy, we actively promote collaboration between the best global institutions and the best institutions in our country. The frameworks, curricula and details of business school education impact students. The government’s own data suggest that there is a significant shortfall between the demand for business school faculty with doctoral degrees in management and the supply. The 4,000 odd business schools in India with an estimated faculty strength of 30,000 have an approved capacity for offering postgraduate degrees in management to about 350,000 students every year. If the All India Council for Technical Education (AICTE) mandate for maintaining a student to faculty ratio of 15:1 is taken seriously, and assuming a two year programme, then we are already looking at a shortfall of about 16,000 faculty members. The AICTE norms for faculty positions at management schools require that professors and associate professors together make up a third of the faculty strength, and that these should all have PhDs (or equivalent qualifications). We also know that in a good year, the country produced between 500 to 750 PhDs in management and allied topics. Does the HRD ministry have any plan to deal with this enormous gap? There is no denying that the key indicators of quality in an institution are its students, its faculty, the infrastructure and the institute’s network with the outside world and other stakeholders. The shortage of good faculty is a global phenomenon and not unique to India. However, our endeavour has been to encourage faculty to improve qualifications and do research. We have tried to contribute to the growth of numbers at the PhD level through innovations such as providing research grants, research scholarships, travel grants and financial support for innovations. Though the numbers two years ago were found wanting, the above innovations have certainly produced faculty with better qualifications and quality though the development of collaborative research. Central institutions such as the Indian Institutes of Technology (IITs) and the Indian Institutes of Management (IIMs) have contributed to enhancing the current numbers of PhDs. Other institutions have also made significant contributions in terms of producing quality management postgraduates. We are actively pursuing collaborations with the best in the world and we seek to imbibe the best practices available currently. The AICTE norms for faculty positions have actually contributed to improving the faculty quality and numbers since, in my opinion, they are enabling in nature and facilitate the promotion of the above objectives. One idea that some of us involved in management doctoral education have been discussing is the idea of “streaming”– to explicitly create different doctoral training tracks to produce researchers, sophisticated practitioners and educators in management. The argument is that this would allow more efficient allocation of costly resources across these different tracks and would recognise that neither the demand for all three tracks nor the inputs needed for them are the same. Does this idea resonate with you? Research administration and infrastructure are key to helping improve the quality of our management institutions and universities. As a policy, we actively promote collaboration between the best global institutions and the best institutions in our country. The argument that streaming would allow more efficient allocation of costly resources across three different directions as you have put it –researchers, sophisticated practitioners and educators in management – does strike a chord. But, I believe that the three are so intricately woven together that they are actually inseparable. Education is all encompassing in all its dimensions. Possibly streaming into specific application areas may affect research that overlaps all three. I believe sophisticated practitioners need to understand the principles of research, the outcomes of research and also become good educators in management since management itself is the art of accomplishing the impossible. “MOOCS” are certainly a creative idea to reach the unreached. The caution, however, is that crass commercialisation can disrupt any process anywhere in the world. All such methods need to be calibrated with circumspection for quality. I believe sophisticated practitioners need to understand the principles of research, the outcomes of research and also become good educators in management since management itself is the art of accomplishing the impossible. However, I certainly see a big opportunity for India to take a lead in deploying such technology to create programmes that are best suited to this mode of deliver y at all levels, including doctoral programmes. The principal regulator for technical and management education, the AICTE has been assigned the above task. I am sure they will come up with a paradigm that would interest most users wherever they are located and would prove to be a great bridge for promoting MOOCS.